Traveling in Europe is the dream trip for many people and there are many interesting destinations for us. For today, I’d like to suggest you one important city which is Zurich, Switzerland. Do you know it is the largest city and be the cultural and commercial capital of Switzerland? Also, it was named as the city with the best quality of life in the world as well as the wealthiest city in Europe which ranked the sixth most expensive city in the world. 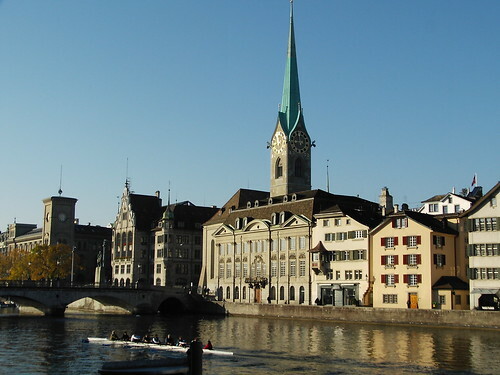 In addition, Zurich is the old town where is very worth especially for the historian and new generation. Also, it’s the beautiful city where the tourist can see many wonderful buildings, churches like Grossmünster and Fraumünster, museums such as Swiss National Museum, Kunsthaus Zurich (one of the largest collections in Classic Modern Art in the world), and other notable architectures. Moreover, I think it’s the romantic city and good for a person who drool over art because you can visit the interesting places like Zurich opera house, one of the principal opera houses in Europe and many theatres in the city. Also, during the art movement, the famous artists like Max Bill, Marcel Breuer, Camille Graeser or Richard Paul Lohse had their ateliers in Zürich, which became even more important after the takeover of power by the Nazi-Regime in Germany and World War II. After I hinted to you some attractive parts of Zurich, I think it’s the time for introducing the other places. If you are a woman, I’m sure that you will be interested in this exclusive shopping avenue, Bahnhofstrasse. Parade-Platz, Plaza in the middle of Bahnhofstrasse, it’s a center of financial activity with the world-headquarters of several Swiss banks. For my itinerary, the indispensable destination is St. Peter, the Christian church with the largest church clock face in Europe. 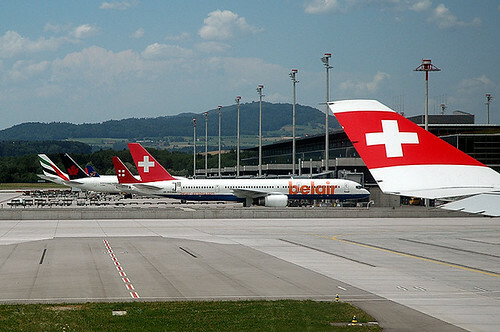 Lastly, I hope you will get some idea for planning your own itinerary for your coming trip and please remember that my recommendations are just a few of all notable destinations in Zurich. If you want more information for more comfortable traveling, you can find via the internet. Have a nice trip! Barcelona is a fantastic location. Its one of those cities you can visit again and again. Within reach of some of Spain’s most beautiful coastline, together with its history, architecture and huge cultural programme is what makes it one of Europe’s most popular city destinations. So, I’ll tell you about the places that you should visit. The Architecture of Barcelona. Costing you nothing but tired feet at the end of the day, you can view the history of Barcelona through its buildings. From its Roman Walls, visit the Gothic quarter, where the Cathedral, public and private buildings all take you back in time to the city’s Medieval period. See Modernisme buildings that are also World Heritage Sites and modern buildings such as those built for the 1992 Olympic Games, and you’ll have walked through thousands of years of Barcelonian history in just one day. You’ve seen the travel commercials with the couple in the beachside bungalow with mosquito nets… and the thought of going on vacation to stay in a tent gives you the creepy crawlies already. Not to worry, you won’t need a sleeping bag and a bottle of Off! for this exotic vacation. When was the last time you stayed in an air-conditioned, 790 square-foot tent with wooden floors, embroidered interior canopies, private gardens, outside deck for sunbathing, king size four-poster bed, freestanding rolltop bath and separate shower? 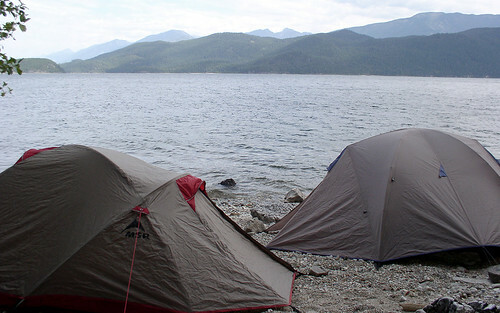 And just to make sure you don’t feel like you’re “roughing it,” your tent comes with a DVD player and minibar. It’s seems contradictory that the words “luxury” be used to describe a tent but at the Oberoi Vanyavilas, located between the Aravali and the Vindhya mountain ranges in South-Eastern Rajasthan, India, the concept is far from novel. Nestled among 20 acres of landscaped gardens, lemon and mango trees and lakes and fountains, are 25 tents, bordering on one of the most extraordinary wildlife reserves in the world, Ranthambore National Park and Tiger Reserve, which is home to the majestic Indian tiger, as well as deer, leopard, and crocodile. Now, before you think that this is an isolated retreat, consider the fine dining options and extensive spa services available. In the Dining Room and Inner Courtyard, Executive Chef Saurav Banerjee and Indian Master Chef Arjun Singh Yadava present an impressive spread of Western, Thai and Indian cuisine from a revolving menu. The exquisitely decorated restaurant features hand painted frescoes of flowers and animals by the celebrated miniaturist Mohan Singh Kumawat. As with any quality resort, there is a spa, where you’ll find steam rooms, showers and private therapy suites and a long menu of spa treatments, massages, facials, manicures and pedicures. Try the stimulating Indian Spice Wrap and a delicious Orange Wrap. All the massage and aromatherapy treatments are aimed at relieving stress and promoting a deep sense of relaxation and wellbeing. And for fitness buffs who can’t miss a workout, there is an exercycle, rowing machine, steppers and a treadmill, as well as an outdoor heated pool. Roughing It follows the travels of young Mark Twain through the Wild West during the years 1861-1867. After a brief stint as a Confederate cavalry militiaman, he joined his brother Orion Clemens, who had been appointed Secretary of the Nevada Territory, on a stagecoach journey west. Twain consulted his brother’s diary to refresh his memory and borrowed heavily from his active imagination for many stories in the novel. Roughing It illustrates many of Twain’s early adventures, including a visit to Salt Lake City, gold and silver prospecting, real-estate speculation, and his beginnings as a writer. Cruising is an interested vacation for people who like sea, sun and ship. Rest assured the cruise lines have made major changes in itineraries to place their ships in the safest and most enjoyable voyages possible. The cruise itineraries may be eliminated for the duration but there are fantastic values on hundreds of other schedules. With more choice, there’s probably a cruise for anyone and everyone, old or young; single or families. The very first thing you need is to figure out where you will be going and how long will you want to stay. Nowadays, picking a destination is harder than one might expect at first glance. 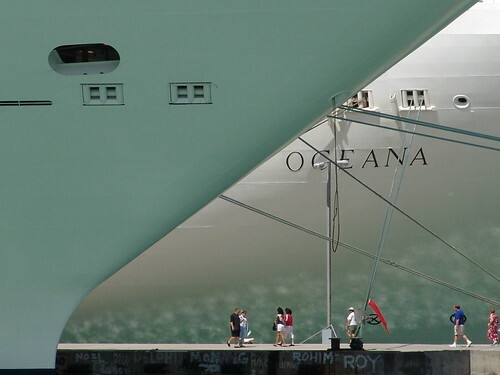 If you are a first-timer considering a cruise, you probably have some questions. It’s good to think through these and do some research. Factors to consider include cost, length of the trip, accommodations immediately before and after the cruise, transportation to from the cruise’s departure point, necessary clothing, and activities. If you are concerned, sit down with a cruise expert and discuss your situation face to face to learn why cruising remains a safe, and enjoyable vacation and why now is the time to make your plans. Some cruises are highly scheduled, in part so that the cruise can concentrate on their employees at each of those activities.